LAHORE: PML-N has geared up efforts to form an alliance with political parties in Sindh to challenge the PPP in forthcoming general elections. PML-N president Shehbaz Sharif is coming to Karachi again on April 22 to hold important meetings with his possible allies. 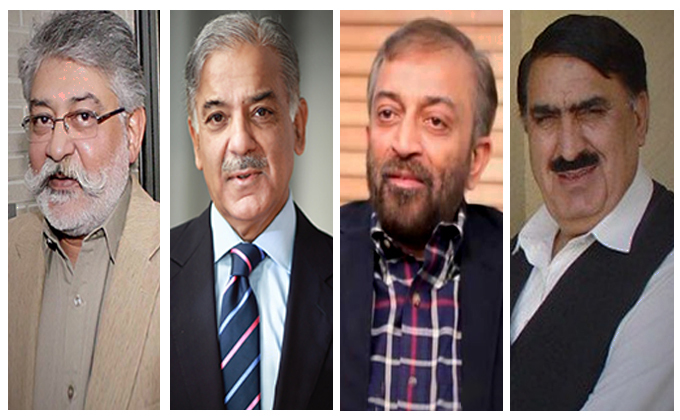 Shehbaz Sharif had visited Karachi on April 14 and met key political figures in Governor House. It was Shehbaz’s first visit to Karachi after being elected as president of the ruling party in the wake of the disqualification of Nawaz Sharif as prime minister and party head, by the Supreme Court. Rana Mashhood, a Punjab minister and close aide of Sharif, said PML-N will form an election alliance with MQM-P, ANP and GDA, an alliance of Sindh parties led by Pir Pagara. “PML-N is talking to Pir Pagara and MQM-P and the outcome is very positive so far,” he said. During his one-day visit to Karachi last week, Shehbaz Sharif had criticized the PPP-led provincial government and said the party had done nothing for the people of Sindh. “They say, ‘Marsoon Marsoon Kaam Na Karsoon (We may die but won’t work),” the PML-N president took a jibe at the PPP leadership. “Alhamdulillah, PML-N had restored peace in Karachi. Now, we will provide basic facilities to people of Sindh,” Shehbaz said in a tweet.